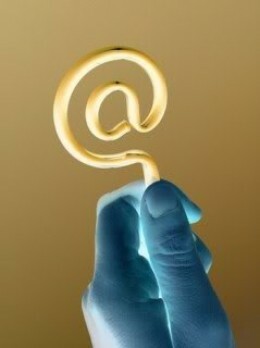 Protect your email address by using disposable email services. the online privacy is very important for everyone of us, and our email address is one important way for people to contact with us, so, there is no doubt that we should protect our email address. Giving out your email address is like starting a relationship. What happens when you want to break up? That is very right, you inbox probably will receive many spams. But there are many websites ask we give out our email address to verify when we are going to register their accounts, if we do not verify, we can not register their services. We do not want to give out our Gmail, Outlook or Yahoo! mail every time when registering one account. So, is there an alternative way? That should be disposable email, that is to say, disposable email services are like disposable bags, you know, you can throw them away after you use. Don't Miss To Know That Google Gmail Is The Best Free Email Service. So, would you like to use disposable email services? There are many websites offering disposable email services, a genius divides them into three categories. You get a randomly generated temporary email address, normally, the email address is valid for only a few minutes or hours. This kind of service is to provide you with a temporary forwarding mailbox, and your true address is hidden, but all the letters will eventually be sent to your email inbox. I do not advocate the use of this kind of service, because the forward email is easily to be taken as spam(junk mail). The email address provided by this kind of websites is long-term and effective, normally, they allows you to choose your username. However, the mailbox is not password protected, anyone can view and use, and all the email will be automatically deleted after 24 hours. Give out your email address or not? Here I remind you that please do not abuse these disposable email services, in particular, do not use them to register the websites your frequent access. Because once you forget the registration password and need retrieve it, it will be very troublesome. At last, as a webmaster who always want to get a real user information, of course, they really hate these disposable email services. Do not worry, there is a weapon against them, this site undisposable.NET is to help the webmasters to identify which email address is not true and can not be allowed to register. Disposable is a nice way for you to protect your email address, it is a useful tool, but so not use disposable email when you are doing something serious, because it will be troublesome if you forget your passwords.